Global Seminars: Day 14: Thank you for the hospitality, Tanzania! Day 14: Thank you for the hospitality, Tanzania! Hello everyone (Mambo wati)! Human beings are known to be the best creation. For me what makes them the best is the lending hand that they give to one another. 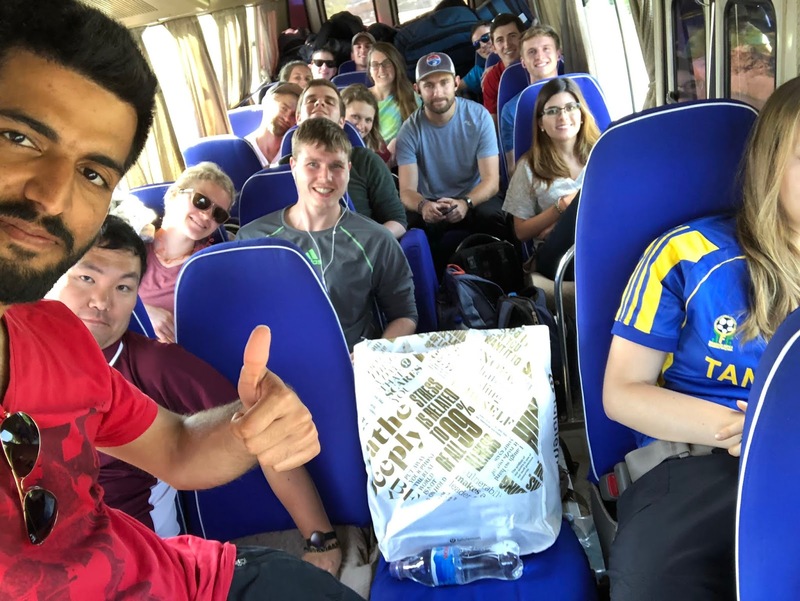 A dream came true for a group of students from the University of Minnesota when they heard that they were getting a chance to help people achieve their daily needs on the other side of the world. Excitement began with their acceptance into the program called Design for Life: Water in Tanzania. Packing began with a little bit of nervousness in the heart wondering about what the welcome would be like in a new culture. Arriving at the capital of Tanzania, Dar es Salaam, we received a warm welcome at the security check, got bundles of Tanzanian shillings, and headed to the hotel. We proudly repeated all of the Swahili words we knew to every Tanzanian citizen we encountered. Without knowing what they were saying or what they were asking, their response was always with a smile and the correction of what should be said in response to each phrase. We merged into the culture with enjoyment. We tried some delicious cultural foods served with great hospitality, did some bargaining, then head to another city called Iringa, which was our home for the next days of our stay. A warm welcome followed by a dance with students and teachers at a nearby village called Lutangilo that had been served by a previous group from the University. We joined their dancing with great excitement! Afterwards we were divided into three subgroups, each group traveling to a different village (Inunda, Wangama, and Ugesa). Our group went to a village called Wangama where women welcomed us with great excitement, singing and dancing. Each group had a chance to work with their community leaders to design a water distribution system to meet their prioritized needs. 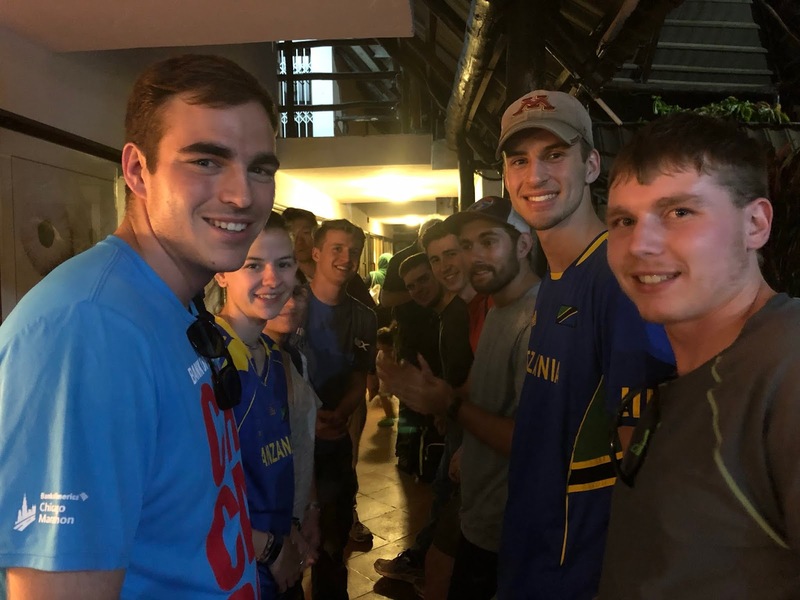 We went back to our home base in Iringa and worked hard designing our systems and presenting our solutions to each other and to Associate Dean Strykowski, who participated by FaceTime. We worked hard and were treated to a spectacular safari to Ruaha animal park where we stayed right inside the park amidst the wildlife. Today we are making the long trek home from Iringa starting with a 10-12 hour bus ride! 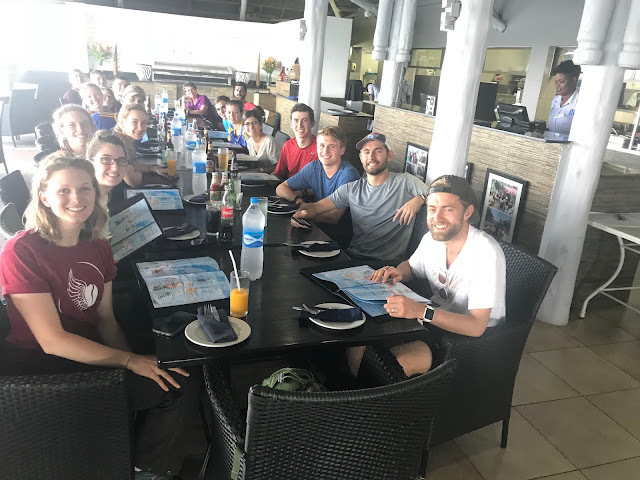 Tonight we will have our last meal overlooking the Indian Ocean before we go back to the cold weather and our spring semester one day after our return. We made great friendships with each other and our Tanzanian hosts. We want to thank all Tanzanians for this warm welcome in their country, Bega Kwa Bega for their hospitality for hosting us in the Lutheran Center, and all the people from the three villages. Even though they didn’t have all the facilities, they made us feel comfortable. Thank you very much, we will see you soon!